The PLA’s Air Quality Strategy for the tidal Thames is the first for the UK port industry. 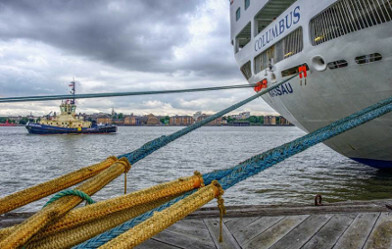 The Strategy aims to reduce river-based air pollution, whilst facilitating future growth of waterborne freight and passenger transport in line with the aims of Thames Vision. On the 1st January 2017 the Port of London Authority (PLA) introduced a discount on port charges for vessels with lower emissions, where the vessels meet an Environmental Shipping Index (ESI) score of 30, or above.